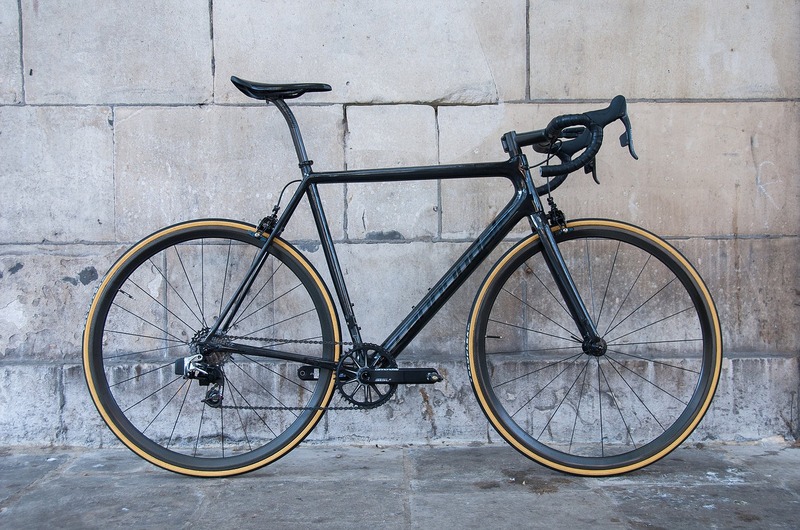 I’ve been painting quite a few of these specialist hill climbing machines recently, with the Cannondale SuperSix Evo Hi-Mod being one of the most popular. 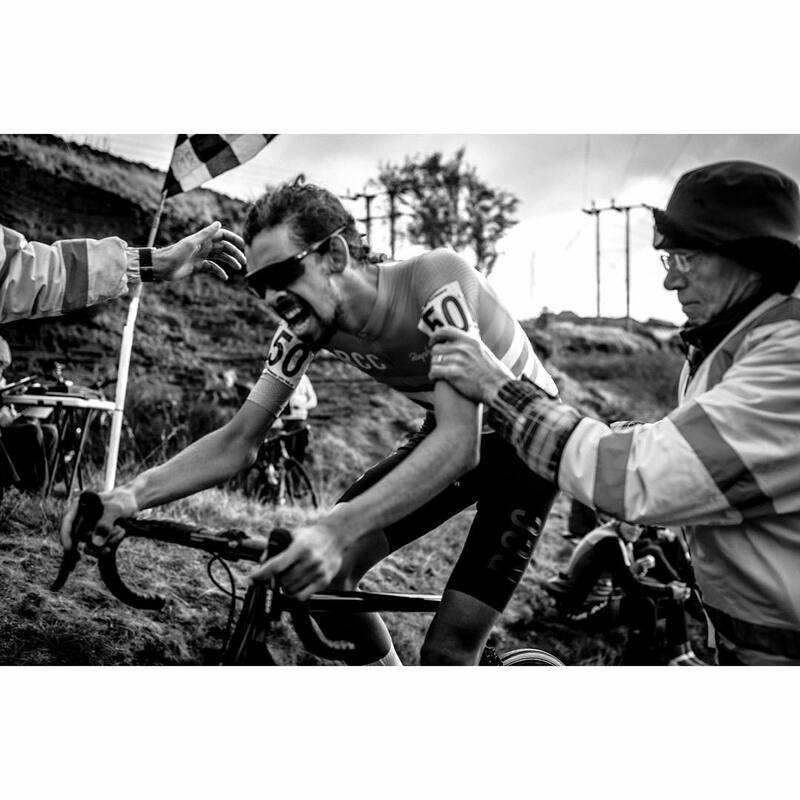 The British hill-climbing events are a long standing part of British cycling culture. Competitors strip as much weight from their bikes and bodies in order to compete in some of the most lung busting races against the clock totally up hill, crazy cyclists! 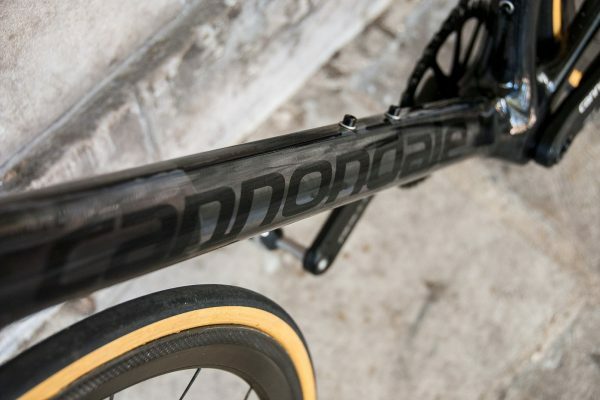 A main weapon of choice among the uphill elite seems to be the Cannondale SuperSix Evo Hi Mod, and it’s easy to see why. It comes with a proven racing pedigree, it hasn’t been over-engineered and has been developed and tweaked by one of the worlds best bicycle manufacturers. Once it’s been stripped of its garish factory paint – wow, that carbon layup looks insane! Did I also mention it’s one of the lightest production frames on earth that doesn’t cost a kidney? Producing a super light weight paint job requires a LOT of elbow grease and sanding by hand (no power tools or paint stripper). 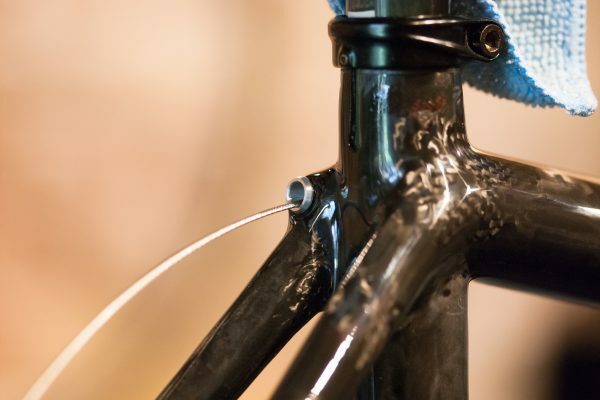 On John’s SuperSix I had to remove nearly 7 layers of factory paint, shaving off close to 300 grams from the factory finish. All the sanding was done by hand moving through various grades of specialist automotive grade sandpaper and probably came close to around 10 hours of sanding done over a bank holiday weekend! 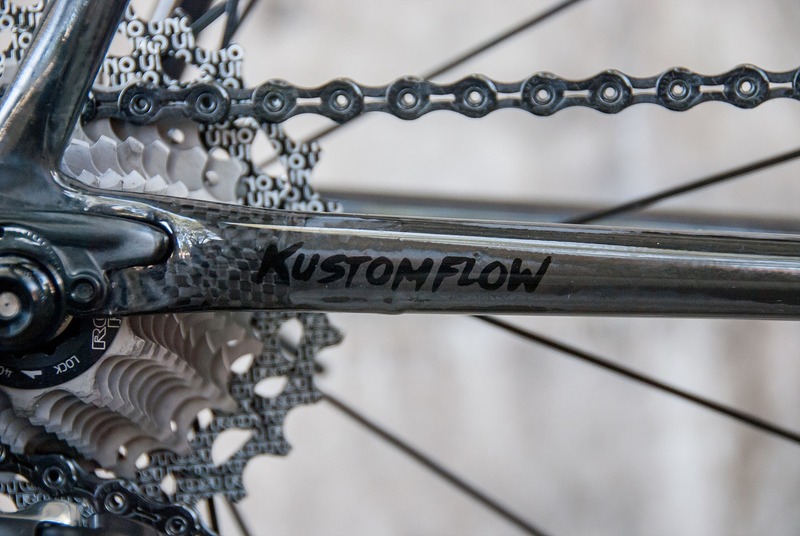 Once the paint was removed, the carbon was revealed in all its unidirectional glory, I find it pretty special with the carbon weave and joints catching the light when viewed at different angles, almost like cracked ice, it has a very raw and industrial feel, yet almost organic. 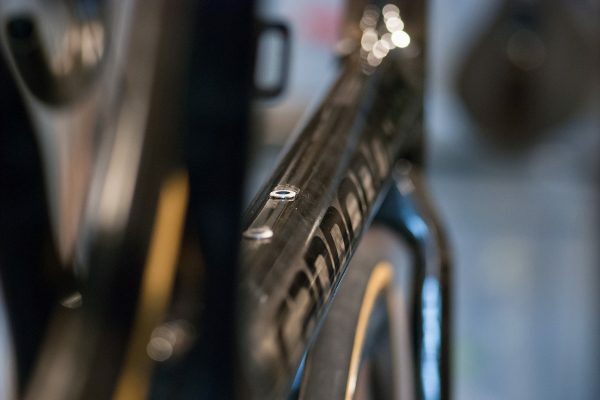 John had opted for a very subtle branding and decided on a simple ‘Cannondale’ decals to the down tube sides and a single Cannondale ‘C’ on the head tube – which were airbrushed on in a jet black. For the finish he went with full gloss. This is an Ultra Hard Solid (UHS) UV resistant clear coat from Quartz Refinishing called ‘Liquid Glass’ – it’s super durable, can be buffed up really nice and straight from the gun can give a glass like appearance. Other finishes are available, including matte and satin, which add even less weight but dont offer the protection that a HS clear does. If you’re looking to give your frame the superlight treatment – get in touch! 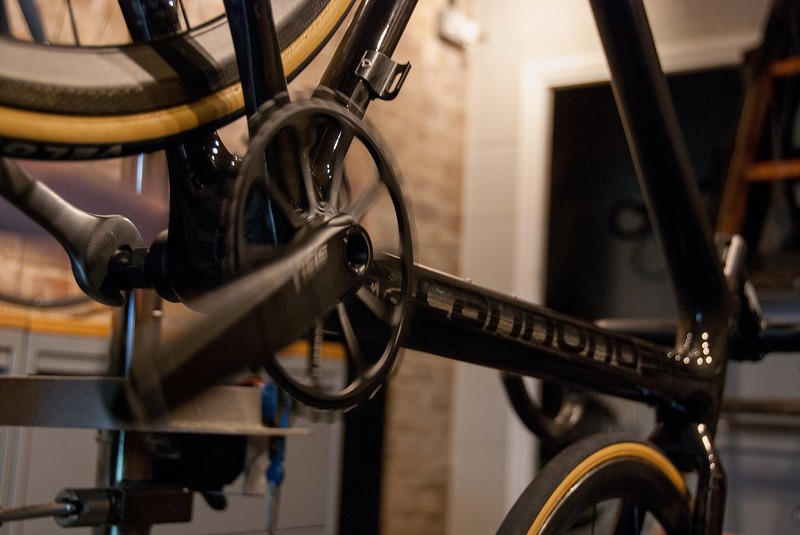 Big thanks to www.mechanised.cc for pictures and Super Domestique for the insight into Johns build.